What Is The Ankylos Dental Implants Smart Fix System? Ankylos is a modern dental implant system that has been designed by the internationally recognised dental company Dentsply (which comprises of both Astra Tech Dental and Dentsply Friadent). This system is revolutionary in the field of dental implants as it utilises dental implants that are tilted to hold the restoration in place. Why Would I Need To Have Ankylos Smart Fix Dental Implants? The most common reasons why this might be a suitable treatment for you is if you either have missing teeth or teeth of poor prognosis (likely to fall out or requires extraction), or a denture that is starting to fail. At the free consultation we will asses if the Ankylos system would be beneficial to your needs or if there is another more suitable system. What Benefits Will I Have From The Ankylos Smart Fix System? Stabilising Prosthetic Fit – Due to the angle that the tilted implants can be placed, there will be a larger area covered that will be supporting the restoration on top, utilising the jaw bone more effectively. 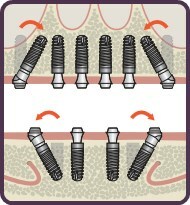 Positioning – The base abutments balance and implants have a 360 degree movement allowing for more flexibility of the placement. Implant Placement Sub-Crestal – This can greatly reduce the chances of a inflammatory response of the peri-implant tissue, which is important for the survival of that implant. Abutment Head – The abutment head used with this system will allow optimum freedom in terms of diameter and height. Handling – The abutment are already preloaded onto a seating instrument, giving the implant dentist more flexibility, which can be very useful when there is not a lot of space. 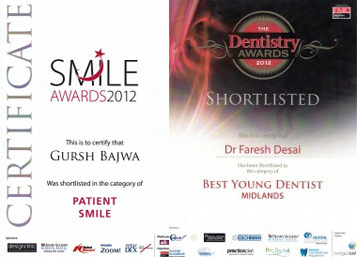 If you are interested in exploring your tooth replacement options, please do not hesitate to call us today and book your no obligation free consultation.